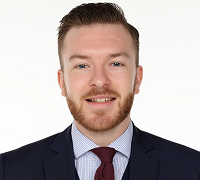 Congratulations to Adam Brenton, Divisional Manager for Compass Associates' Manchester office who has been awarded Employee of the Quarter Q1 2017-18. "Adam has been a real coup for the business and has taken to his new role with vigour, determination and a real touch of class. His textbook start has been well received by the team who have performed remarkably well, swatting away all records along the way. A fantastic achievement to win such an accolade so early in his compass Career. Well done Adam." Sam Leighton-Smith, Director of Healthcare. At Compass Associates we like a bit of competition… we also like giving up our time and raising money for good causes. What better way to spend a Friday than combining the two: go-karting and fundraising for Autism Hampshire. Autism Hampshire are a charity very close to Compass and we have previously fundraised for them with abseils down the Spinnaker Tower in Portsmouth. The charity provide support and services across the Hampshire region to people with Autism including residential care, supported living, day services and domiciliary care and a specialist mentoring service to students with Autism and Asperger’s Syndrome. 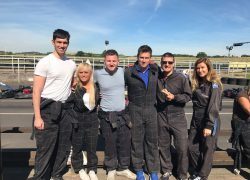 On a beautiful sunny Friday in July, members of our Specialist Services division went to Thruxton outdoor go-karting track to take part in Autism Hampshire’s Go Karting Challenge 2017. Compass Associates are proud to have been part of Care Home Open Day for the 5th year running! 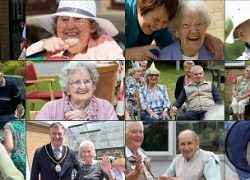 We have supported this event for every year since the start as it is a wonderful opportunity for care homes to open their doors to the public and host events and activities for their residents and the local community. This time, we supported four homes within The Orders of St John Care Trust portfolio. OSJCT is a not for profit organising providing care for older people in 70 care homes across Lincolnshire, Oxfordshire, Gloucestershire, West Sussex and Wiltshire.